You’ve been injured and you think you are entitled to compensation. Don’t get injured a second time by an insurance company or lawyer telling you, that you can settle on your own. You need to make sure that you engage an experienced and skilled lawyer who routinely handles personal injury claims and is familiar with your type of injury. An experienced lawyer will know the ins and outs of damage to your possession and loss recovery, medical bill, rehabilitation bills, medical equipment, loss of income and a myriad of future losses you may incur along with claims for pain and suffering. Your attorney will know how to negotiate for you the best settlement or how to skillfully handle a lawsuit in court. Martin, Jones & Piemonte’s Personal Injury team know all the tricks and traps that insurance companies and defense attorneys will try to use to pay you the minimum settlement possible. Martin, Jones & Piemonte’s Personal Injury team is made up of caring and compassionate people who listen carefully to their clients so they can ensure their present and future needs are met. They are known for their hard negotiation and while that can increase the time it takes to get a settlement you can be assured they will not be taking the first or “low ball” offer just to close the case. Take a few minutes and read our reviews on our website and online. We are sure you will like our friendly winning team. 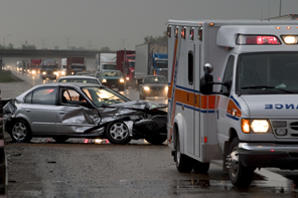 Call us now or use the consultation request form for a no cost, no obligation consultation, and review of your claim.